The dog ate my car. 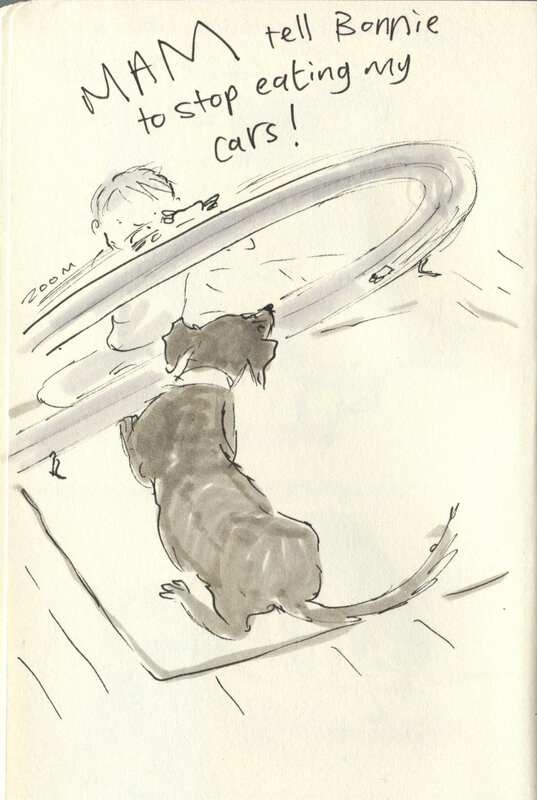 Posted on September 15, 2015, in Uncategorized and tagged Children, Dogs, Doodlemum, Drawing, Family, Humour, Pen and Ink, Sketchbook. Bookmark the permalink. 3 Comments. Lovely use of perspective in this doodle. So funny! When my son was little, the cats knocked his cars off the tracks when they went by! They thought it was a game for them, just like your pup! haha this really brings back memories of my kids playing with HotWheels tracks & cars, and my cats just going crazy!